response from property - Nov 24, 2015 Thank you for sharing your review of Dolley Madison Towers! Reviewsubmitted by MOMINA B. - Nov 19, 2015 |Recommended: YesGreat place to live. response from property - Nov 24, 2015 Thank you for sharing your review of Dolley Madison! Nice and convenient placesubmitted by WENDY T. - Nov 05, 2015 |Recommended: YesThe hallways and lobby are always kept clean. The location is convenient with a bus going to metro and a walk to Shirlington for restaurants theater some events 7-11. Negative comments include 1. Parking space for visitors after 6pm - it's difficult to find a space and they have to pay 5 even if it's for just an hour. 2. Package arrival monitoring - it became a mess when they implemented the electronic signature that package has been claimed. The system would say 3 packages but we will only get 2 and we will never know what that 3rd package was - never found. response from property - Nov 09, 2015 Wendy, thank you for sharing your review of Dolley Madison Towers. For visitor parking, if you feel there are not enough spaces please be sure to notify the leasing office or resident manager so that we can work to resolve this for you. With the electronic package system, the property is now able to track the packages and to notify residents when they arrive. There can be mistakes when implementing a new system, but the staff works hard to learn the system to enhance the community for the residents. New Residentsubmitted by Leatta W. - Nov 04, 2015 |Recommended: YesI just moved in this past weekend. everyone was so helpful through email, phone calls and emails. they got back to me in a very reasonable time. response from property - Nov 09, 2015 Thank you for your review of Dolley Madison Towers. 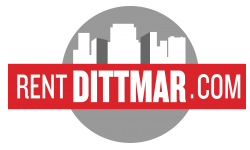 We're glad your move-in went well and we look forward to providing you with the best living experience in the Rent Dittmar community. Its a good place to live.submitted by Camilo S. - Oct 31, 2015 |Recommended: YesIts good, quiet, safe and confortable place to live. I think this property is good for younger adults to start off living on their own.submitted by Claire G. - Oct 28, 2015 |Recommended: YesYes, I do like living here. There is easy access to D.C. What I also found attractive is that there is a community gym, game room, and a room to rent for parties. Most importantly, I thought security was excellent. I like knowing that a key card must be used in order to get in or out of the building. Great spacious, clean apartmentssubmitted by Alicia P. - Oct 28, 2015 |Recommended: YesI moved down to VA without seeing this apartment and I could not be happier They are updated, very spacious and clean. The staff are all friendly and maintenance is very prompt when needed. The gym could be better and have more things in it, but good for running on the treadmill. I would recommend this place to anyone. Awesome Livingsubmitted by SHELITA A. - Oct 27, 2015 |Recommended: YesLove it here. You can't hear the neighbors or kids. Well maintained. You can't beat the price either. Quite Impressivesubmitted by Milagros P. - Oct 24, 2015 |Recommended: YesWhen I first came here, concierge service, security, the rest of the staff are polite, professional and always made sure my questions, and concerns were always answered. I was quite impress by their services. I've also they notice they were always on the lookout on behalf of anyone. surprised me they recognized me, who i was, with so many tenants living here, they are on top of it. Please keep the momentum going, very few business's are able to maintain this type of customer services. Great staff, including tenants polite and courteous. Goodsubmitted by LYNETTE H. - Oct 08, 2015 |Recommended: YesIt's close to 395 and DC. The building is modern and clean and the amenities are great. Guest parking isn't the best because you have to pay 5 for overnight. They sometimes will randomly update their rules on where guests can park without letting residents know ahead of time, which can be extremely frustrating when you have out of town visitors drive hours into town to visit. Besides the parking issue it's a great place to live. response from property - Oct 12, 2015 Thank you for sharing your review of Dolley Madison. With feedback like yours we can work to improve the community for all residents. Nice and friendly. submitted by SHARI L. - Oct 05, 2015 |Recommended: YesComfortable. Cleaning team needs improvements. response from property - Oct 05, 2015 Thank you for sharing your feedback, your review has been passed along to the property manager and someone should be reaching out to you soon.